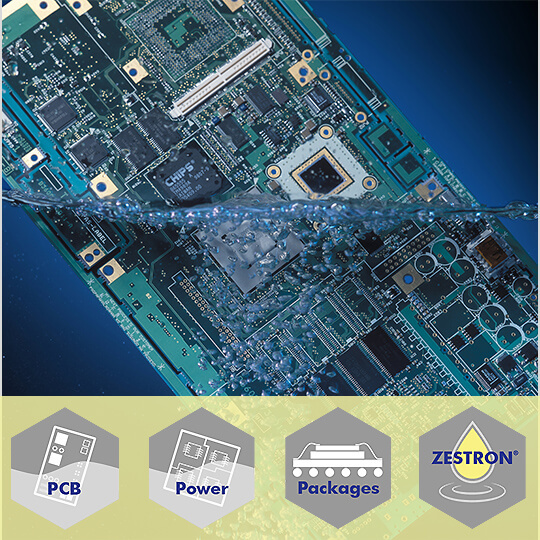 Solvent-based cleaning agent designed to remove all types of flux residues from electronic assemblies, ceramic hybrids, power electronics (power modules, leadframe-based discrete components, power LEDs) and packages (Flip Chips(CMOS). The product is characterized by its high cleaning performance and bath loading capability ensuring an extremely long bath life. This cleaning medium is listed in the ESA "list of declared materials"